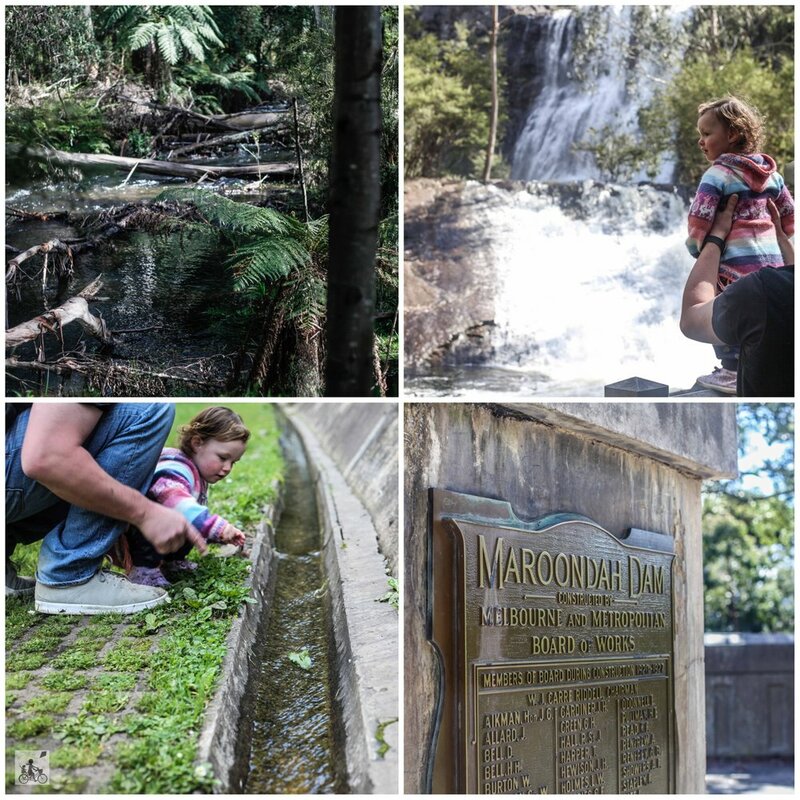 One of Mamma's favourite places for a family picnic has to be Maroondah Dam. This parkland reserve is alive with birdlife, beautiful gardens and great family walks. You have to check out if the reservoir is overflowing into the spillway. Then walk along the base of the wall. It is very trippy looking up from the bottom of the dam but the echoes that bounce off the wall are super loud and the gutter at the base is perfect for racing leaves along when it is filled with water. Mamma highly recommends making the hike up the stairs (there is a ramp but is very steep) through the Rose Stairway for a wander along the dam wall. The views are spectacular and you can turn the hike into a bushwalk loop if you continue on the other side. After that you will most certainly need to head back to the car to grab the esky and the snacks! There is stacks of space to choose from for a picnic as well as a playground with some slides and a little village of cubbies to explore. The park has a massive population of bird life with some friendly and some not so friendly cookatoos and rosellas looking for food. Despite the lack of signage, bird feeding is prohibited in the reserve. The reserve is well shaded and is a beautiful spot to visit all year round. Mamma's special mention: Not keen on packing a picnic? Head to Innocent Bystander for lunch. The pizzas are amazing!